Thank you for your interest in TotalWellness, formerly known as Health Fairs of America (HFA) and Vaccination Services of America, Inc. (VSA). We provide our onsite services by maintaining independent contractor nurses and other medical, health and wellness professionals in nearly every city. When a client requests services, we use our innovative scheduling software to contact the nearest independent contractors about work opportunities. 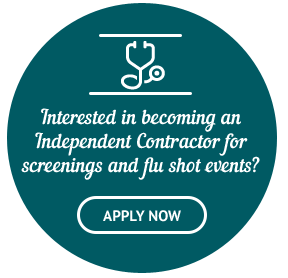 TotalWellness independent contractors are than able to “nominate” themselves to work. Because of the nature of our business, we have various wellness jobs available but we cannot offer full-time work or promise consistent part-time work. Our schedule of events completely depends on the orders of clients, which can be difficult to anticipate. 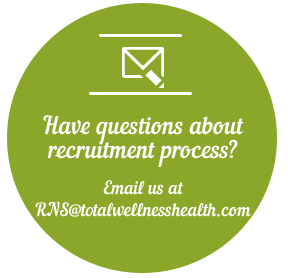 But even if you aren’t sure how much you will be able to work with us, it doesn’t hurt to go through our hiring process. The services we provide are basic and we find that most independent contractors enjoy the change-of-pace compared to their other typical jobs. We are a fast-growing company in which we constantly contract with new clients nationwide. You are never obligated to work for us. We hope that you are interested and available when there are needs in your area. There are typically more events in large cities, however we do have events throughout the country year-round. Our busiest time of year is during “flu shot season,” which is approximately September through November.